An evening of light jazz at St LeoRose in James Cistern from 6pm with an assortment of different artists from the festival. Cover charge $20 in aid of the Haynes Library. Food and drinks will be available to purchase. Cash and credit cards accepted. To make a reservation please contact the establishment directly. A night of live jazz music in the harbour at 1648 Bar & Grille – French Leave in Governor’s Harbour from 7.30pm. Cover charge $20 in aid of the Haynes Library. Food and drinks will be available to purchase at the restaurant and bar. Cash and credit cards accepted. Table reservations for dinner recommended. A musical jam session at the Fish Fry, Anchor Bay, Governor’s Harbour from 7:15pm – 9pm. 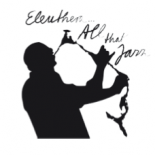 Free for everyone to come and listen to some of the Eleuthera…All That Jazz artists and other musicians preforming an open jam session. Food and drinks will be available to purchase from the Fish Fry. Cash only. A musical workshop and meet and greet with the musicians at The Haynes Library from 10am-2pm. There will be a 20 minute interval. 12:30-3:30pm Sunday lunch jazz concert on the beach – $150 advance purchase / $175 on the door. How to view performers for 2015?